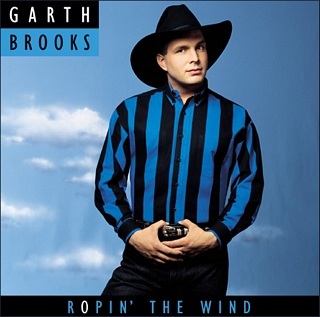 This is the cover art for Ropin' the Wind by the artist Garth Brooks. The cover art copyright is believed to belong to the label, Capitol Records, or the graphic artist(s). The cover art can be obtained from Capitol Records. Copyright held by Capitol Records. This page was last edited on 17 October 2012, at 15:45 (UTC).